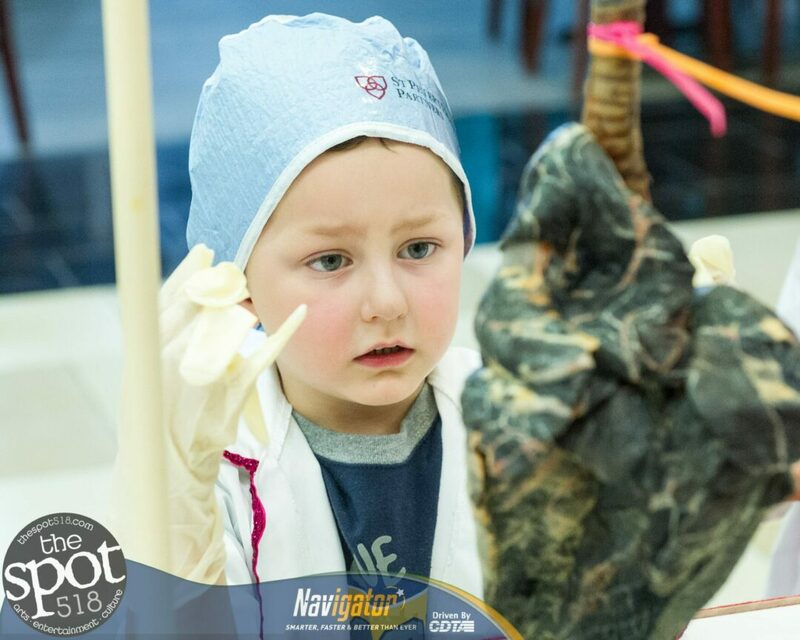 GUILDERLAND — For the 20th year, children were offered a chance to take a Journey Through the Body. Coordinated by clinicians at St. Peter’s Health Partners, children are able to walk through a new giant, pulsating heart and lungs, check out a 16-foot brain, stroll through a colon, operate a robot, brush a giant set of teeth and learn about the functions of the human body and ways to lead an active, healthy lifestyle. The free event, that features interactive exhibits, continues at Crossgates Mall today, Saturday, March 23.